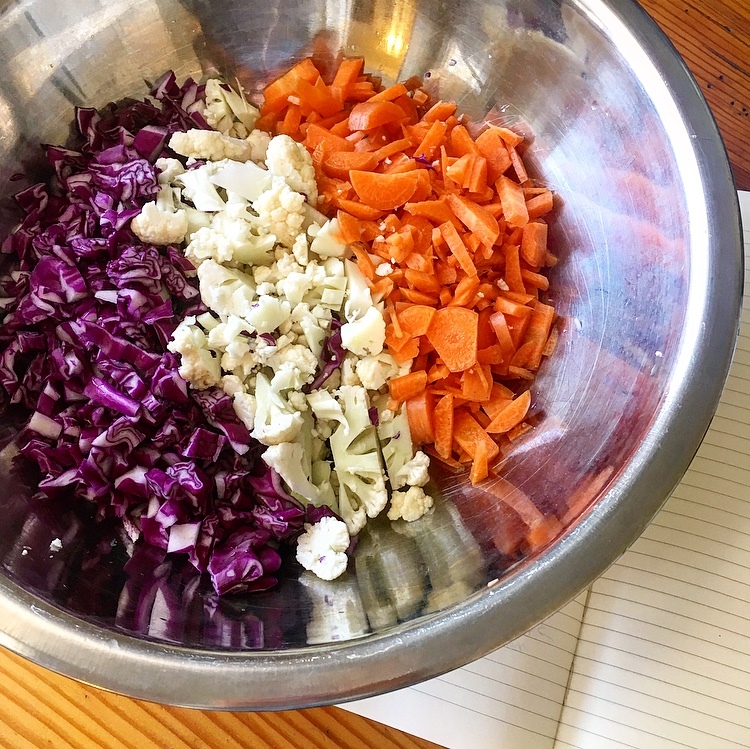 Cruciferous veggies (cauliflower, cabbage) and a root veggie (carrot) make this a hearty and sturdy salad that will last a few days in the refrigerator. Top with a protein of choice and make this a complete meal, tasty side dish, or a slaw added to tacos. The acidity of the citrus dressing balances flavor, and in this case adds lots of vitamin C and immune benefits. Chop carrots, cauliflower, purple cabbage. Juice 2 lemons and 1 orange into a separate bowl. Whisk together with several tablespoons of olive oil, dash of sea salt and black pepper. Pour over the veggies and mix it all together. Top with freshly chopped cilantro and hemp seeds.